Dora Kaprálová, born 1975 in Brno, Czech Republic, is a prose author, publicist, and feature writer. She has lived in Berlin with her family for more than 10 years. She studied broadcasting, TV dramaturgy and script writing at the Janáček Academy of performing arts in Brno. 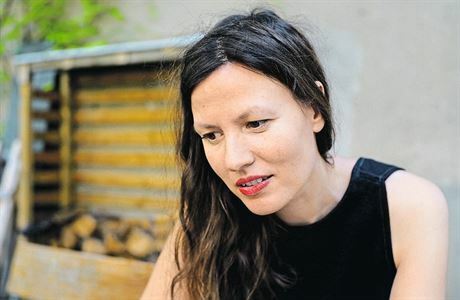 Today Dora Kaprálová conducts interviews, writes reports and book reviews for various print and online media, leads film workshops alongside film maker Natascha von Kopp and teaches Czech. Since of May 2o16, she has worked closely with the institute for Slavic studies at Humbold University. In addition, she is involved in a two-year-long psycho-lingual research project on bilingualism in children. She writes a regular blog on Czech literature (Kommentare der Dora K) for the Czech scholars of Humboldt University and hosts the bilingual reading series “České slovo/Tschechische WortSchätze”. In 2017 Kaprálová was awarded the German-Czech Journalist prize 2016, in the category “Audio” as well as receiving the special award “Milena Jesenská”. Výšiny (de. Die Höhen). Play. Větrné mlýny, 2002. Zimní kniha o lásce (de. Winterbuch über die Liebe). Novella. Archa, 2014.